When you don’t know where to turn we are right here. We are committed to answering your questions in a nurturing environment. We provide resources to encourage and inform you of your options. We know the decisions are challenging and can be overwhelming, but there are people who care and who can assist you in finding the information and services you need. Contact us for free and confidential services. Pregnancy testing consultations available in Spanish during all open hours. Call (979) 245-9900 to schedule pregnancy testing, walk-in’s are welcome. Pregnancy Testing visits take at least 45 minutes. Onsite childcare available during pregnancy testing consultations and EWYL classes. Hours vary and are dependent upon volunteer availability. Pregnancy Testing is available in Spanish during all open hours. 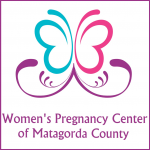 Pregnancy options education with pregnancy testing or by appointment if testing is not needed. “What is This Thing Called Parenting?” and “Parenting Well” for parents seeking to complete a parenting course, documentation available upon request. To schedule a time to take your Earn While You Learn classes, please call (979) 245-9900 and you can begin earning the items your baby needs!